Homeland Security Secretary Janet Napolitano says the status is part of U.S. efforts to support Haiti's recovery. Washington (CNN) -- A temporary protected status for Haitian nationals who were in the United States as of Tuesday has been designated by Homeland Security Secretary Janet Napolitano, she announced Friday. "This is a disaster of historic proportions and this designation will allow eligible Haitian nationals in the United States to continue living and working in our country for the next 18 months," she said. "Providing a temporary refuge for Haitian nationals who are currently in the United States and whose personal safety would be endangered by returning to Haiti is part of this administration's continuing efforts to support Haiti's recovery." 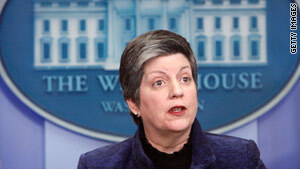 Napolitano estimated 100,000 to 200,000 Haitian nationals are in the United States illegally. She told reporters the temporary status allows them to stay for 18 months, authorizing them to work and send remittances back to Haiti as the nation "gets back on its feet." However, she said, Haitians who now attempt to travel to the United States will not be eligible for the temporary status and will be repatriated to Haiti. She added that there have been no signs so far of an increase of Haitian nationals trying to enter the United States after Tuesday's earthquake.